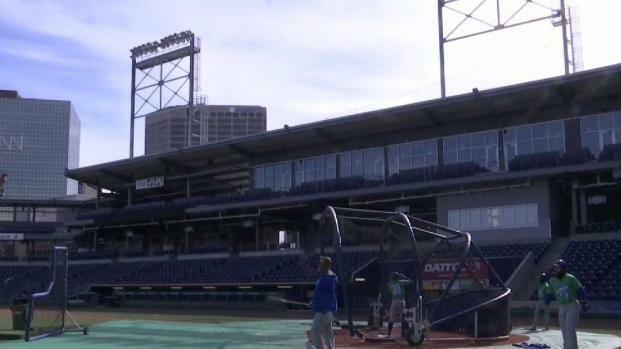 The Hartford Yard Goats kicked off their third season at Dunkin’ Donuts Park Thursday. 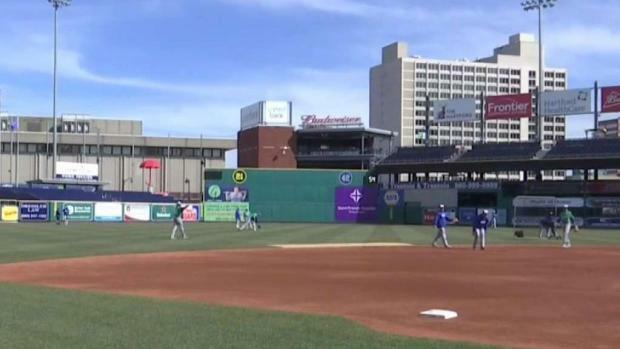 For two years in a row, Dunkin’ Donuts Park has been voted the best in AA minor league baseball. 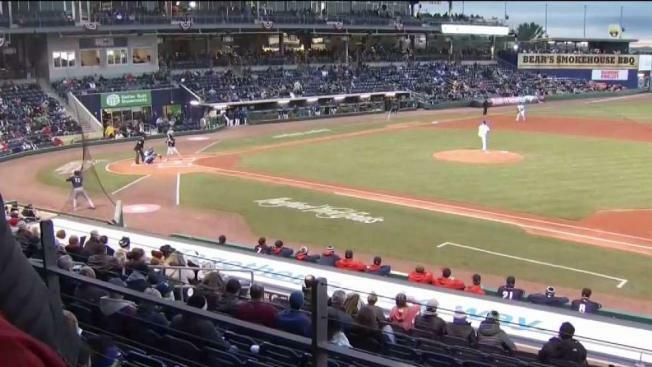 The team took on the rival New Hampshire Fisher Cats in the home opener to a sold-out stadium. 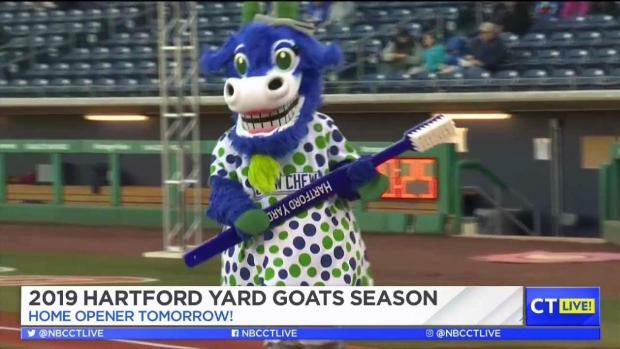 The Yard Goats won the game 10-5. 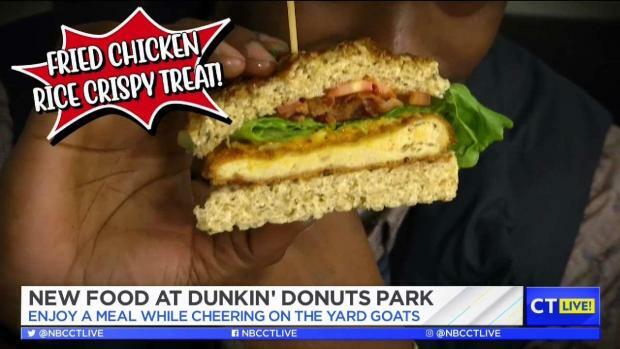 NBC Connecticut caught up with one loyal fan at the team store who was looking for some special merchandise. Some of the new Yard Goats share their baseball superstitions with Kevin Nathan. "I came to the first game last year the end of the season, all the games last summer, I come to as many as I can,” said Elizabeth David of Hartford. "I'm trying to get some stuff for my dog here, they don't have any dog clothes but the baby clothes fit him perfectly," she said. There is a jam-packed special events schedule this year. On April 29 you’ll be able to bring your puppy to the park. May 16 is Pink in the Park. May 18 is Military Appreciation Night, Pride Night is June 4, and there will be a Star Wars-themed weekend on July 29 and 27. 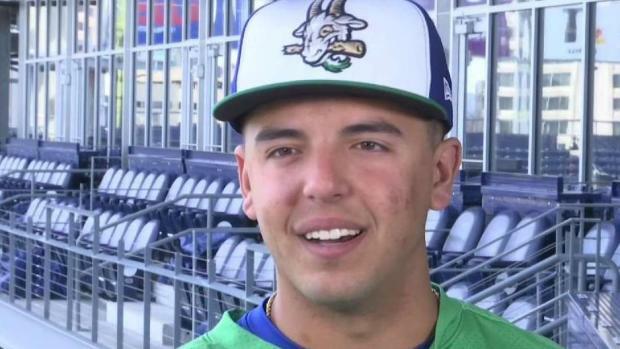 General Manager of the Hartford Yard Goats Mike Abramson shared more. For the full list of events and to buy tickets, click here.